I stayed at The Green House in Chiang Mai, Thailand. I wandered in off the street and booked a room for 250 THB a night. At the time of my stay this guesthouse wasn’t listing on booking sites. There are still a number of small guesthouses in Chiang Mai that rely on foot traffic for customers. If you are staying here for a while then this is not a bad way to go about it. 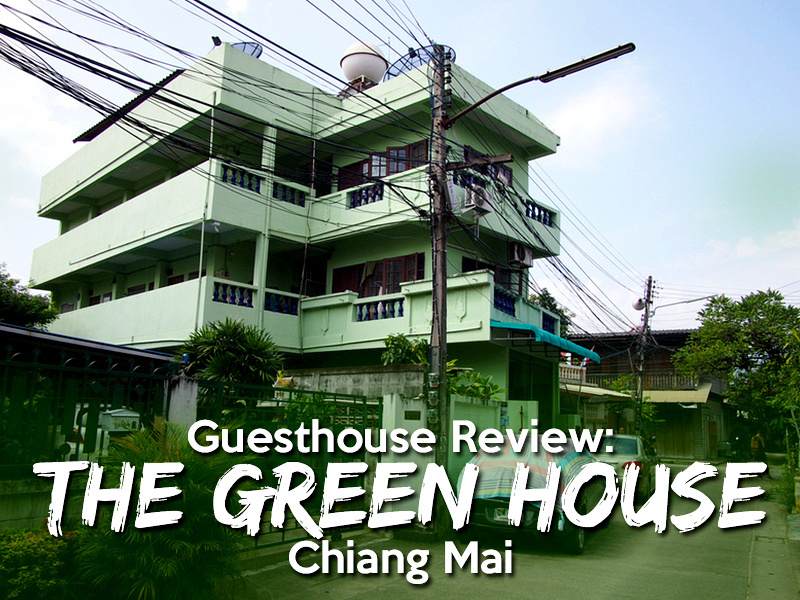 The Green House is in a big green block on Moonmuang Soi 8, near the northeast corner of the old city moat. It’s a quiet lane and is easy to walk to nearby amenities. Find out more about where to stay in Chiang Mai before you book. 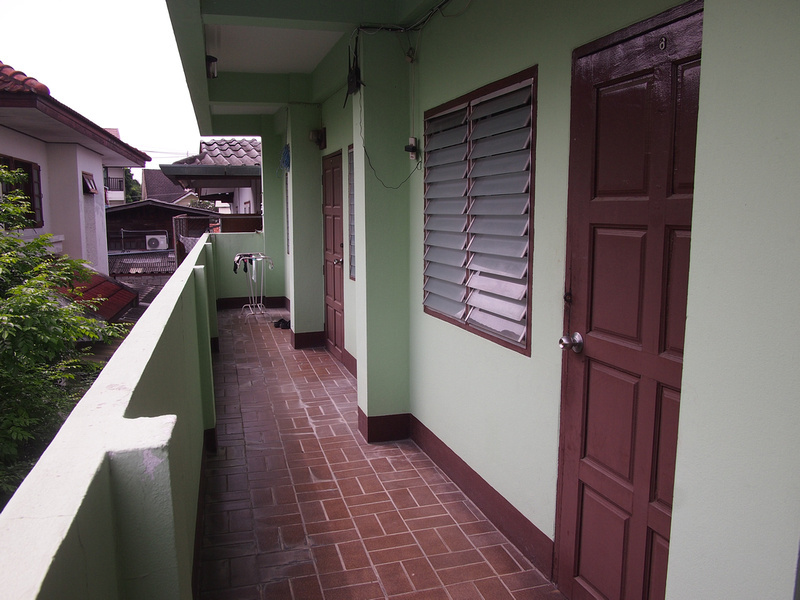 The guesthouse has motel-style rooms with room entry along a balcony. I like that the rooms have windows on either side. I got a double room with private bathroom. The room was a bit old but otherwise it was fine and in perfect working order. My room had two fans, and the bed was comfortable. A tell-tale sign of the age of this property was the old-fashioned self-flushing toilet. Old western toilets in Southeast Asia have no cistern, so you need to flush the toilet with a water scoop. I presume this came from the tradition of squat toilets. 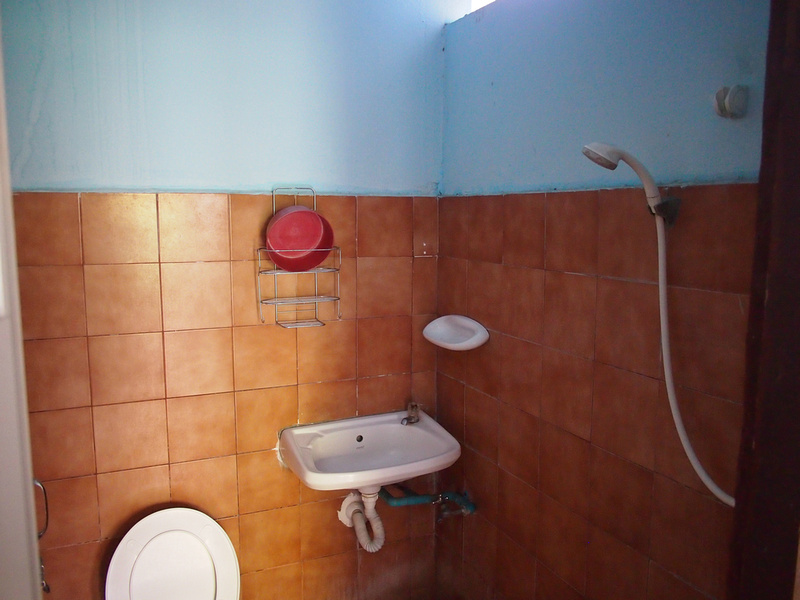 Despite that inconvenience the bathroom was ok and the shower had decent hot water. There is free wifi at the guesthouse and I had no problem connecting in my room. Overall this was a decent place to stay if you are just looking for the cheapest guesthouse room in Chiang Mai. 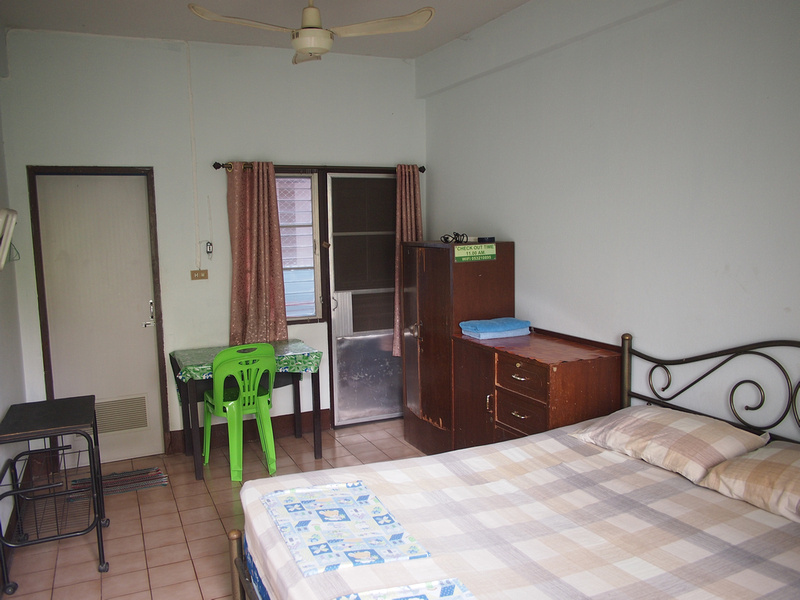 If you prefer to book a room in advance then search for more guesthouses in Chiang Mai.